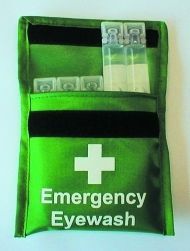 5 x individual 20ml eye wash pods contained within its own nylon wallet and First Aid information card. A stylish Integral Aura box in durable polypropylene, bracket and handle, may be wall mounted. 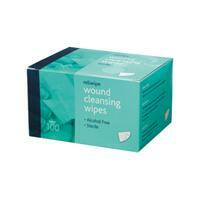 Fast and effective treatment in the workplace or home, meeting the guidelines given by the Health & Safety Executive. 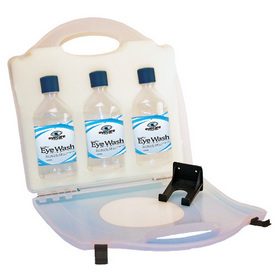 This emergency eye wash station is complete with 2 x sterile eye wash solutions (500ml each), 2 x NO.16 eye pads . Robust wall mounted ABS Eye Wash Station Case meaning the eye wash station can be either wall mounted or carried. Eye Pod station that is wall fixing with display board giving instruction on use. 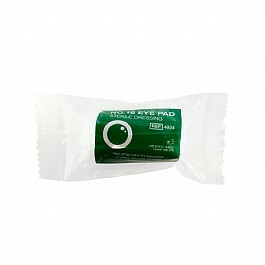 Comes complete with 20 x Eyewash pods, 2 x Sterile Eye pads and a fixed mirror. All for only £8.37! Only £9.99! Our Eyewash Pod Station Pack is suitable for use in company vehicles or public areas or all working environments and can be placed conveniently in the workplace with the supplied wall bracket. A stylish Aura box in durable polypropylene, blue safety clips and integrated handle, can be wall mounted. Providing fast and effective treatment for minor eye injuries in the workplace or home, meeting the guidelines given by the Health & Safety Executive. 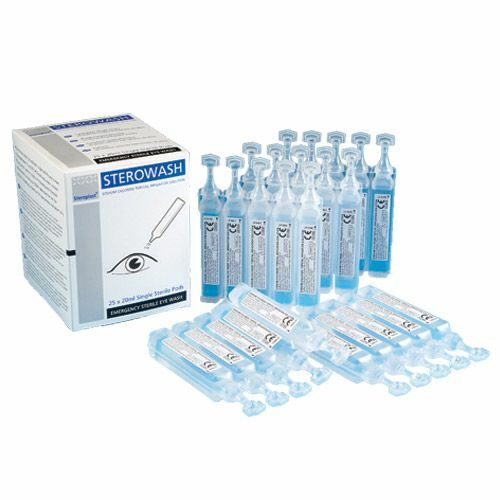 Sterile Saline Pods - 25 x 20ml Pack - Sterile, Single use emergency eye wash solution for ocular, topical irrigation and wound cleansing. Ready to use, twist off top for ease of use. 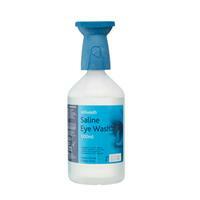 A mixture of water and saline provides effective treatment of minor eye contamination. Sodium Chloride 0.9%w/v Ph.Eur. Incredible value for money at just £4.88! 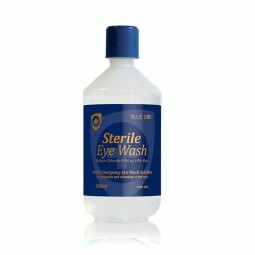 Our sterile, single use emergency eye wash solution for ocular, topical irrigation and wound cleansing.We offer this must-have emergency eye-wash solution for a minimal £2.50!. 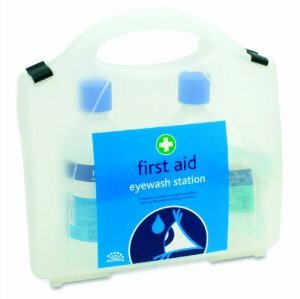 Ensure your workforce is kept safe when at work by stocking our sterile eye wash.
For all your emergency eye care needs, we supply a massive variety of emergency eye care products such as eye wash kits, eye was solutions, magnetic eye loops and eye wash wall mountable stations!